Thank God you came! Although this might be a little slight exaggeration, there is no denying that in the full past year, almost everyone was on the tiptoe of expectation for their comings. iPhone 6, iPhone 6 Plus and Samsung Galaxy Note 4, the newest handsets have been launched and will be run into market soon. 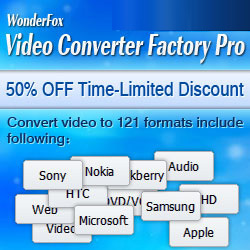 To fit the users’ up-to-date needs, and keep up with the pace of technological change, WonderFox DVD Video Converter has been updated by WonderFox Soft (https://www.videoconverterfactory.com/) to allow for the most advanced handsets - iPhone 6, iPhone 6 Plus and Samsung Galaxy Note 4 at the first time. Now iPhone 6, iPhone 6 Plus give us 1334*750 and 1920*1080 resolutions with a 4.7 inch screen and 5.5 inch screen. Bigger screen, higher resolution and pixel bring us a brand new visual treat. WonderFox DVD Video Converter exclusively provides every user a perfect resolution-matching when you convert DVD to iPhone 6, convert DVD to iPhone 6 Plus or Galaxy Note 4, to insure against the problem of black strips inserting on the screen. WonderFox DVD Video Converter supports converting SD to HD video to suit the unprecedented high-definition of iPhone 6/6 Plus. So does Samsung Galaxy Note 4. With WonderFox DVD Video Converter, you can play DVD on iPhone 6 with greater ease. During the event period, unlimited number of lifetime license codes for the flagship product “WonderFox DVD Video Converter” is supplied. No any hard and fast rlues, simply visit the site and enter the homepage URL. WonderFox DVD Video Converter is a powerful all-in-one program. It provides one-stop total solution to rip DVD (released by Disney, Paramount, Sony, etc), download online video, edit and play video, and convert DVD/video to any format or device with excellent performance. WonderFox DVD Video Converter is the best media solution to suit your iPhone 6/6 Plus and Samsung Galaxy Note 4. Grab at the opportunity to get it for free in the exclusive DVD to iPhone 6 converter giveaway! Already impatient to participate in it? Enter the active page understanding details immediately!